I'm still in pursuit of the fundamentals about number. That's really two sets of fundamentals: the fundamentals of number itself and the fundamentals of how children learn number. Now the ancient Greeks began their contributions to mathematics around the time that zero as an empty place indicator was coming into use in Babylonian mathematics. The Greeks however did not adopt a positional number system. It is worth thinking just how significant this fact is. How could the brilliant mathematical advances of the Greeks not see them adopt a number system with all the advantages that the Babylonian place-value system possessed? The real answer to this question is more subtle than the simple answer that we are about to give, but basically the Greek mathematical achievements were based on geometry. Although Euclid's Elements contains a book on number theory, it is based on geometry. In other words Greek mathematicians did not need to name their numbers since they worked with numbers as lengths of lines. Numbers which required to be named for records were used by merchants, not mathematicians, and hence no clever notation was needed. 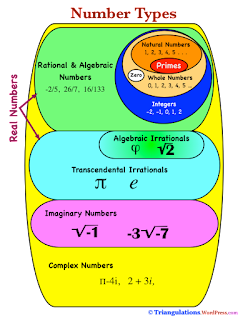 The Pythagorans wanted to believe that everything could be expressed in terms of whole numbers. I was wondering about that. For example, how could you prove that square root (2) could not be somehow expressed in terms of whole numbers? Hippasus, one of the Pythagoreans, did prove that such an assumption did lead to a logical contradiction. This so upset his group that they killed him. This history gives the expression "irrational number" some real bite. The ratio of the hypotenuse to an arm of an isosceles right triangle is a:b expressed in the smallest units possible. Hence a2 is even and furthermore a must be even as the square of an odd number is odd. However we asserted b must be odd. Here is the contradiction. 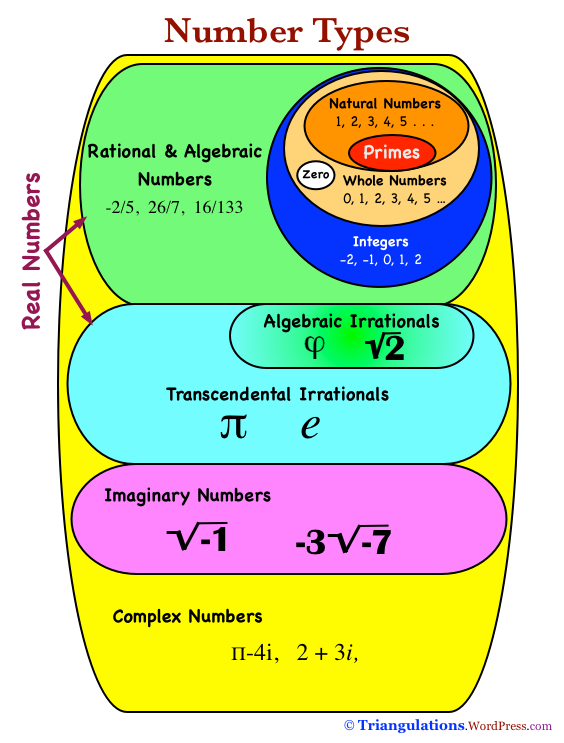 I've taken this mainly from wikipedia where there is much more detail about irrational number but have added a few extra bits of explanation to the reasoning. Devlin is a good mathematician. However, he keeps on repeating that he is not a K-12 teacher and so can't offer advice as to how to teach at that level. But he does offer lots of advice about what shouldn't be taught. So in that sense he is a tease and a provocateur. Language is important here as different expressions will greatly influence children's solution methods. For example, interpreting 52 x 3 as "52 times 3" or "52 lots of 3" may lead to a less efficient calculation method then reading the symbols as "52 multiplied by 3" or "3 fifty-twos"
Hart K (1981). Hierarchies in mathematics education. Educational Studies in Mathematics, 12, 205-218. When this happens the prophets of doom, such as wayan vota (olpc just got gutted) and arstechnia (OLPC downsizes ...) publish quickly and with a tendency to sensationalise and catastrophise. We are all familiar with this style of journalism. The Surface Mission is to bring education to the children of the Developing world using the XO as a vehicle. This is a serious and realistic although a very hard to achieve goal. The XO-1 has been a partial success. However, it did not achieve its initial (problematic) goal of selling to the Developing world governments in millions. Clearly, the stakeholders are not satisfied and cutbacks have now occurred. Also the 2008 give one, get one was a relative flop, with only 7% of the sales of the G1G1 in 2007 (source). But Negroponte keeps pushing forward. The dual screen XO-2 (article) may achieve the scaling that was hoped for but did not eventuate with XO-1. Sugar, the new OS, has been a partial success. It is diverse, free (FLOSS) educational software with unique built in (when sugarized) collaboration features. But some / many aspects of Sugar are buggy and / or unfinished. There is still a lot of work to do. All of this does spin off in multiple directions – Walter’s question categories are Computer Science, Engineering, Education, Economics and Social Sciences. There was some discussion about his 23 questions at OLPC_news (comments). It would be good to see more. Different people bring different skills and expertise to the Project. Everyone who has been involved with it has been broadened and deepened in some way. No regrets. I'm not aware of anyone who has been involved who wishes that they hadn't been. There may or may not be ultimate success. But there is ongoing partial success as the consciousness of every participant, adult or child, of the social possibilities of disruptive technology is increased. One aspect is that the Projects are in more or less constant turmoil. I see this as inevitable. We have cutting edge, complicated, disruptive technology – hardware and software. We have a difficult, hard to answer social question: How best to help the impoverished children of the Developing world? We have conflict between FLOSS and Proprietary pathways. Can FLOSS alone deliver the goods? We have division between expert and non expert enthusiasts in different areas. Some fields demand democracy and transparency, eg. FLOSS. But even FLOSS has benevolent dictators as a concession to expertise. But in some other areas democracy is frankly a waste of time. For example, there is little point in Mary Lou Jepson consulting with non experts about the latest in screen technology. This can be extrapolated, more or less, to many other parts of the Development process. We have conflict over the best methods to educate children. Constructionism is not well understood and is not the only path. How do hardware experts, software experts and educators work together effectively to produce a better product? There is limited money and people to carry out this project. Even though a Keynsian approach – spend money on public works to increase employment - in economic crisis would suggest generous funding for this project. Sounds like a good idea but I doubt that it will happen. How could there not be continual turmoil? "I would like to offer a _heart_felt_ thanks to everyone at One Laptop Per Child who has made Sugar and the XO the products that they are today. You still are at the forefront of a revolution in learning such as the world has not seen since the invention of the printing press. But, this revolution, as with all revolutions, is hard to plan; there are no maps, there is no rule book, there is no gray bearded sage to guide your way"
The xo and sugar labs will continue to transform the world for the better. By just how much remains to be seen. Thanks to Rob (blog) for putting me onto the Devlin's Angle essays. Still reading. He is well researched, discusses fundamental issues of maths pedagogy and is making me think. This particular essay made me think about Number and how it is taught in Schools. To tell the truth I had to go back and review my own foundational understanding of number. The way that it is taught in our Schools is like a drip feed but for most students and teachers the "big picture" is never put together. It's like a jigsaw puzzle that is seldom completed. At any rate, Devlin points out that in the USSR due to the influence of Vygotsky and his followers, such as Davydov, that the curriculum from the beginning focuses on real numbers, it does not begin with natural numbers, as we do in Australia (or in Devlin's case the USA). He gives a broad overview of that curriculum in his article. Humans have not only a natural ability to abstract discrete counting numbers from our everyday experience (sizes of collections of discrete objects) but also have a natural sense of continuous quantities such as length and volume (area seems less natural), and abstraction in that domain leads to positive real numbers. Fascinating. We need to explore fundamental knowledge deeply. This is probably the most important part of improving education. Chinese teachers are far more likely to have developed "profound understanding of fundamental mathematics." To say that they "know more" or "understand more" is to make a deeply theoretical claim. They actually may have studied far less mathematics, but what they know they know more profoundly, more flexibly, more adaptively"
"mathematicians turned great math teachers (such as Mary Laycocke) who have spent decades learning how to get young children to learn "real math" "
I wish some of these old books could be digitised and put into the public domain, they might get a new lease of life that way. Some Australian aboriginal tribes did not have a number system, just one and many. Arithmetic evolved in cities which had more complexity which required calculations. The first writing was with numbers. Pythagoras invented odd and even numbers, things such as magic triangles (1, 2, 3, 4) and explored the relationship between music and the size of containers (the music of the spheres). But his dogmatic idealism about number led to tragedy. One of his disciples discovered irrational numbers and was drowned. The Romans murdered Archimedes and then imposed their crummy numerals onto the world. They were so useless for doing calculations that the abacus was used instead. Our decimal system and most notably the number zero wasn't thought of until 500 AD by someone in India. From there it was passed onto the Arabic Muslim world. Then the decimal system was brought to Europe by Fibonacci. There ensued a struggle between the Roman numerals and the decimals system which lasted for hundreds of years. Eventually the decimal system won out because of the need for capitalism to calculate compound interest accurately. This video is very enlightening and funny being narrated by Terry Jones of Monty Python fame. The simulated battles between our modern sprightly numbers and clunky Roman numerals are fabulous.